Today, Tallan announced it had been named a finalist for the 2018 Microsoft Worldwide Retail Partner of the Year Award. The company was honored among a global field of top Microsoft partners for demonstrating excellence in innovation and implementation of customer solutions based on Microsoft technology. The project that garnered this consideration was an Artificial Intelligence based initiative, Chatbots specifically, with Valassis Digital. Awards were presented in several categories, with winners chosen from a set of more than 2,600 entrants from 115 countries worldwide. Tallan was recognized for providing outstanding solutions and services in Retail. The Retail Partner of the Year Award recognizes a partner organization that excels at providing innovative and unique services or solutions based on Microsoft technologies to Retail and Financial Services customers, demonstrating thought leadership in their industry. “We are honored to recognize Tallan as a Microsoft Worldwide Partner of the Year,” said Gavriella Schuster, Corporate Vice President, One Commercial Partner, Microsoft Corp. “Tallan has distinguished itself as a top partner, exemplifying the remarkable expertise and innovation we see in our Microsoft partner community to deliver transformative solutions.” The Microsoft Partner of the Year Awards recognize Microsoft partners that have developed and delivered exceptional Microsoft-based solutions during the past year. 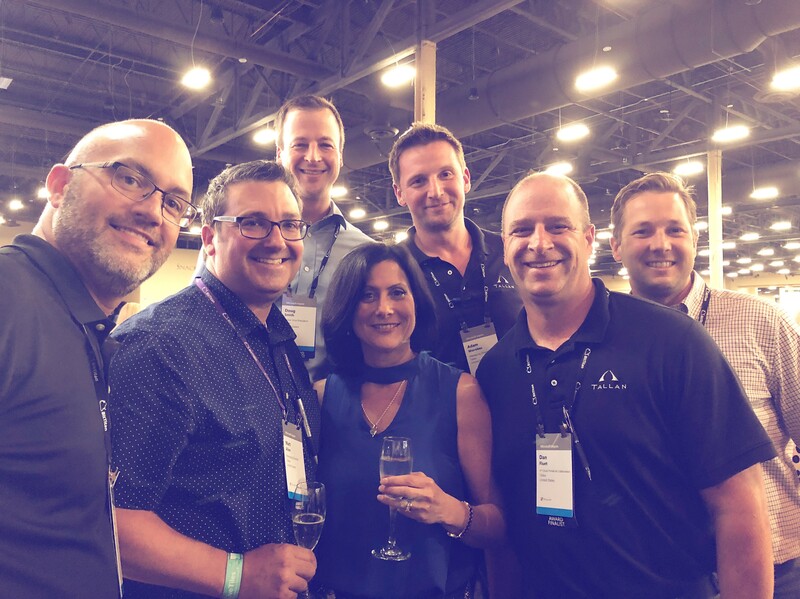 Members of Tallan Senior Management pose with Gavriella Schuster, Corporate Vice President of Microsoft’s One Commercial Partner program during a champagne toast at Microsoft Inspire 2018. Since 1985, Tallan has developed custom technology strategies that help clients overcome their biggest business challenges. Boasting advanced expertise in the areas of Portals and Collaboration, Business Intelligence, Application Integration, Mobile Platforms, User Experience, Ecommerce, Web Development, Government Solutions, Cloud Services, and IT Strategy, Tallan is one of only a select few Microsoft National Solution Providers (NSP) and has acquired multiple Gold Competencies in Microsoft technologies.